Teachers are the most important school-related factor influencing student learning. Teachers can help level the playing field and provide opportunities for success to all their students. They can inspire students to innovate; to think and reflect and to work in collaboration with others. Good teachers can also stimulate and guide students' development so that their achievements go beyond their own expectations. Therefore, how teachers achieve this in the classroom is important to understand. 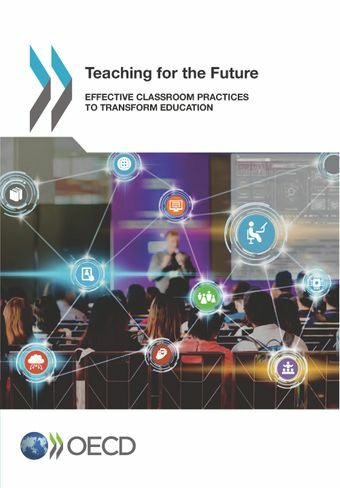 Teaching for the Future: Effective Classroom Practices To Transform Education links research and data on key issues facing teachers today with teachers’ own experiences to overcome challenges and create an effective classroom. This report builds on the discussions and stories shared at the Qudwa Global Teachers’ Forum, organised by the Crown Prince of Abu Dhabi on 7-8 October 2017. It captures the efforts made by teachers, from across the world, to facilitate student learning and transform education to build a fairer, humane and inclusive world. The report provides an in-depth analysis of issues that teachers encounter in their day-to-day professional life, particularly those around equity and reducing personal and social disadvantage, building academic, social and emotional well-being of students through parental engagement and integrating information and communication technology in classrooms. How can we make sure that schools respond to every child? How can schools and families work together to support students' academic and social well-being? How can we support teaching strategies for 21st century learners? How can we effectively use technology in classrooms? How can we foster innovation in teaching?